Mourning Sign was the brainchild of Kari Kainulainen (Guitar), Thomas Gardh (Guitar) and Robert Pörschke (vocals), who met in Hallstahammar (a small town in the middle of Sweden) in February 1992. Later on Henrik Persson would join in on drums. This line-up would form the core of the band during the recording session for the Last Chamber demo, recorded in Studio Underground during the month of June 1992. Four songs were recorded in this session. Without a bassist, Kari and Thomas shared the bass roll on these recordings. This demo was the first step in the band's development. It was well recieved from the underground fanzine scene. 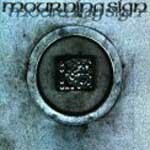 From July 1992 to June 1993, Mourning Sign were developing themselves and finding the right chemistry for the band. This meant member changes and experimenting with different ideas to find the core of what Mourning Sign was to become. In October 1993, a new demo was recorded at Studio Underground. It featured four new tracks and was entitled Promo-93. As a result of this demo, Mourning Sign were asked to take part on the Extreme Close-Up CD compilation produced in cooperation with Sweden's most well known metal/underground magazine Close-Up and the recordlabel MNW Zone. Futhermore, the demo resulted in having the take part in another compilation Black Boone CD entitled Phased Out. In August 1994, Mourning Sign were back in Studio Underground once again. This time to record nine new songs. It didn't take long before labels started to show their interest in Mourning Sign. Early '95 Mourning Sign signed with the Italian label - Flying Records/Godhead. The Promo-93 was released as a mini-CD in March '95 under the name Alienor and the full-length debut Mourning Sign was released in September '95. Both of these two album have received very good reviews. 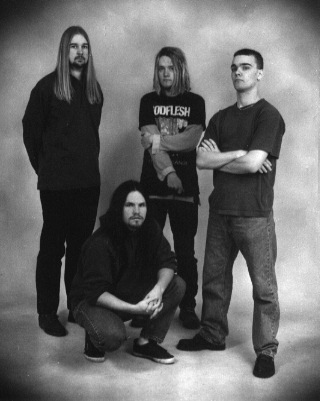 In February/March '96 Mourning Sign paid another visit to Studio Underground to record their second album. This album is called Multiverse and is a eleven song piece (55 min). Since Mourning Sign haven't found a replacement for Robert (vocals) he was asked to do the vocals on this album as well and he did. With the addittional talent of P-O Saether (clean vocals) and Lennart Glenberg (violin), Mourning Sign have made an album that surely will set a new point. This album will be released during the summer. Meanwhile the band has split up. Kari joined Amaran.